From then on go to the website of Stan or use their app if supported. Please see supported devices between Stan and Unlocator at the bottom of this page. 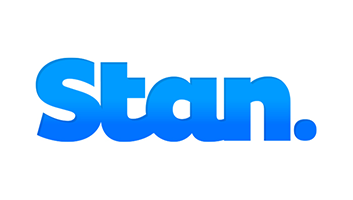 Stan is one of the most popular video-on-demand channels in Australia. Despite Stan being a fairly new streaming service provider, you get unlimited access to TV shows that air on ABC, Nickelodeon, MTV, Comedy Central as well as the BBC. The bad news for Aussies traveling abroad, is that Stan is a geo-restricted channel. Luckily, as an Australian expat or tourist, you can easily bypass this obstacle, and regain access to your favourite shows whether you’re in Germany, France, Italy, Japan, the US, or even the UK. Unlocator is able to unblock Stan anywhere outside Australia. Sign up for your free Unlocator trial account and watch shows like Breaking Bad, SpongeBob, Ninja Turtles, Madam Secretary, Under the Dome, and Wolf Creek on Stan. Registering with Unlocator does not require a credit card. A large selection of devices are supported by Unlocator. What’s more, you do not need any additional software to get Unlocator to work on your Android, Apple TV, iPad, iPhone, OS X, Ubuntu, Vista, Windows 10, Windows 7, Windows 8, Windows XP. The setup process is easy and fairly straight forward. Either configure Unlocator DNS on your streaming device, or change your router’s network settings instead. One of the biggest advantages of using Unlocator is that your Internet speed does stay the same. Unlike when using a traditional VPN, Smart DNS allows you to watch geoblocked content without suffering from any buffering issues. Besides Stan, you can use Unlocator to unblock ABC iView, as well as SBS, outside Australia. Unlocator does all this without changing your public IP address. All your traffic remains untouched. Neither do we keep any logs of your browsing activity when you use our DNS servers. In case something that you’re not complete the configuration on your own, you can fill up this form and our support team. They will get in touch with your shortly afterwards.